Did you know that when students have higher access to the arts they are three times more likely to win an award for school attendance; receive 96 more points on the SATS on average; are three times more likely to earn a Bachelor's degree, and four times more likely to own a business than a high school dropout? But because of the lack of educational funding, one of the first areas to be cut is art, music and drama. 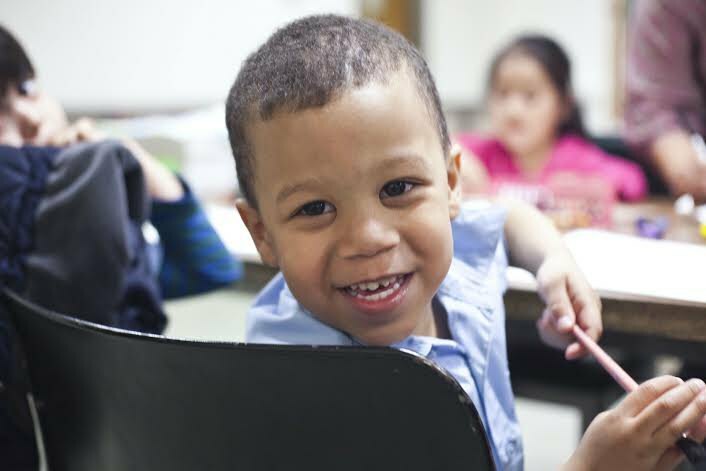 The New York Times reported this past June that NYC public school classrooms are overcrowded; federal and state aid for public schools has dropped, and the number of children living in temporary housing situations (such as homeless shelters) is climbing. Although Bushwick has become the breeding grounds for many new restaurants and galleries and was even named one of Thrillist's Top 12 Coolest Neighborhoods, its public school system still has a ways to go. Adarsh Alphons, who moved to Harlem from India six years ago, recognized this issue that has been plaguing the public school system here and knew he had to do something about it. 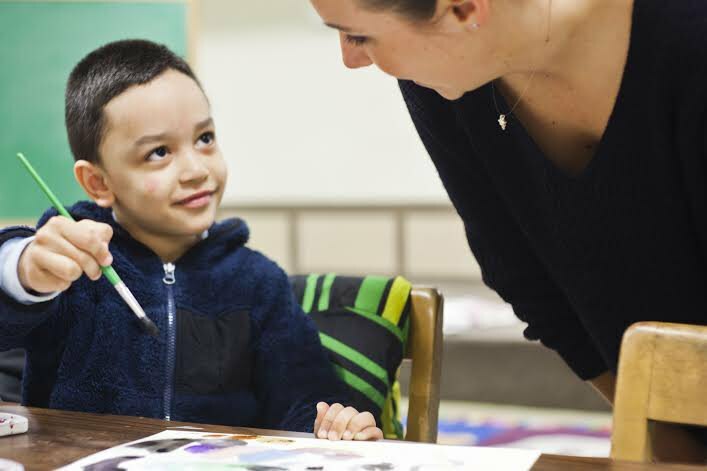 This is how the idea of ProjectArt came about: its mission is to "put paintbrushes in the hands of children that don't have adequate access to an arts education," all while confronting the national arts education crisis and keeping its costs low. "I do this from an empathetic point of view," Adarsh explains. "When I was young I drew out of sheer desperation of wanting to communicate". However, his grade school principal did not support his need to draw and Adarsh was expelled at the very young age of seven. It was not until he was enrolled in a new educational institution that he was instead met with encouragement and reassurance from the faculty to keep drawing. Eventually at the age of 10, Adarsh got to meet and present Nelson Mandela with a drawing, which later lead him to complete commissioned work for Mother Teresa and The Vatican. "Just three years before I was being outcast for my drawing," Adarsh says. "But it was art that allowed me to meet and create for these individuals. If I did not have that outlet for expression I would not have made it". In order to give young Bushwick students this same channel for creative expression, ProjectArt started giving art classes at the Brooklyn Public Library in Fall 2013. "Expanding to Bushwick we learned a lot," describes Adarsh. "Brooklyn Public Library is right across the street from PS 147 [off Morgan L], a public school that has no art classes available for its students. 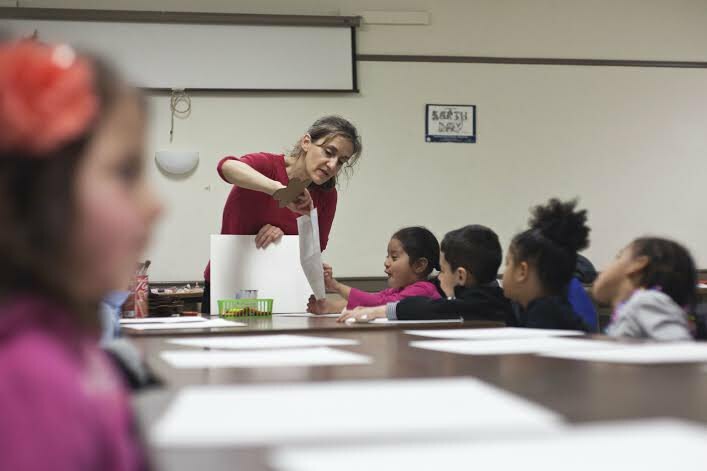 The second graders from PS 147 meet at the library for art classes twice a week in the mornings and this happens year-round. The same art instructor teaches every week, in order to create consistency, and starting this Spring semester there will be a few graduates from Columbia University's Teachers College instructing. Students take part in all different art projects - sculpture, collage, painting, drawing and more. In addition to classes, Louis Vuitton previously approached ProjectArt with a partnership and took the students to the MoMA to give them tours of the museum. Classes are also available and in session during the Summer. Adarsh explains that there has been great feedback from the Bushwick community - with many of the students and teachers saying that these art classes are the highlights of their week. "We currently have branches in 4 out of 5 boroughs and are looking to expand throughout central Brooklyn," Adarsh says, further explaining how ProjectArt analyzes data, is aware of where there are needs and is very accountable. 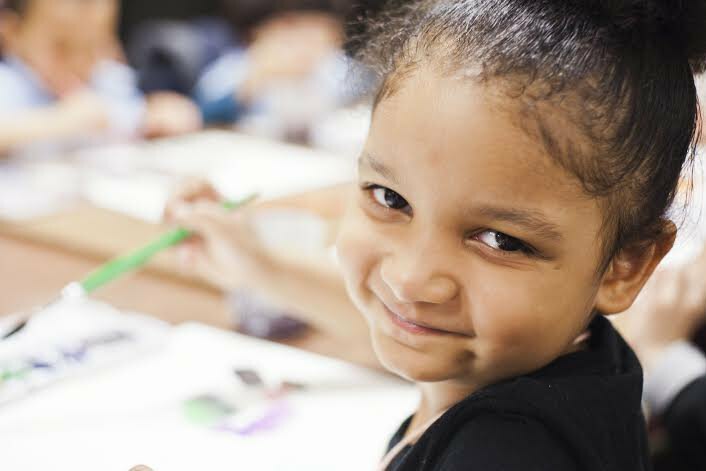 If you or your child would like to get involved with ProjectArt, or if you simply have any ideas or would like to volunteer please contact tadia[AT]projectart.org. To keep up to date with ProjectArt and their great work please visit their website or like them on Facebook.